As a barista, it’s critical that you know all the factors that influence your final product. 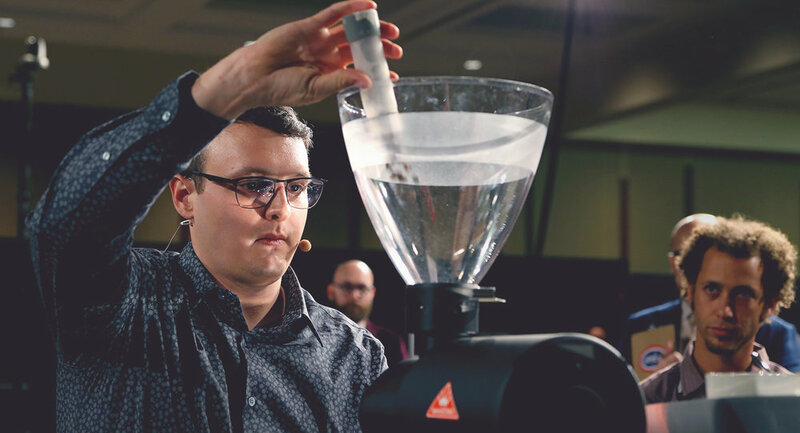 From the basics of producing a quality espresso to the more advanced latte art techniques, machine maintenance, bar workflow and management, this course ensures that you are fully equipped at whichever level you are at. Professional and specialized levels learn how to blend espresso beans. •Optimizing roast profiles (full roast profiling method to achieve a perfect roast for a particular bean and/or extraction method). Business application. •Advanced sensory analysis for master roasters (identifying subtle aroma and flavor changes through roast profiles). Business application. •Advanced analysis or roast logs (identification of thermal equilibrium point, interpretation of ROR before and after first crack, assessing recovery time). Scaling up roast profiles. Business application. To enable the student to apply core concepts of sensory science to analyze aroma, taste, and body differences in coffee. Students will be introduced to various testing methods including triangle and in/out and they will progress in their calibration of the SCA cupping form. Students will examine basic requirements for developing a sensory program at their place of employment. Expose and sensitise student on the notion of specialty vs non-specialty coffee. Enabling the student to recognise the core concepts of sensory analysis, and explain why and how coffee professionals use it in the coffee industry. Broad focus will be put on identifying, describing and discriminating objectively aroma, taste and body in coffees. Students will be introduced to the SCA cupping protocol and methodology and reflect on the qualitative dimension of this evaluation methodology. Designed to introduce core barista skills to people with no previous barista experience. Successful candidates should be able to calibrate their grinders and make an espresso and cappuccino to core standards. Courses at this level usually take 2 days. Barista course is being taught by Kyle Ramage the 2017 USA Barista Champion. He will be teaching on tips on how to compete in WBC as well as sharing his experience as a barista and the owner of roastery and Cafe. Overview of traditional and less common brewing methods and techniques. Learn different cold brewing techniques, equipment, and results. Overview of Brewer’s Cup competition rules.